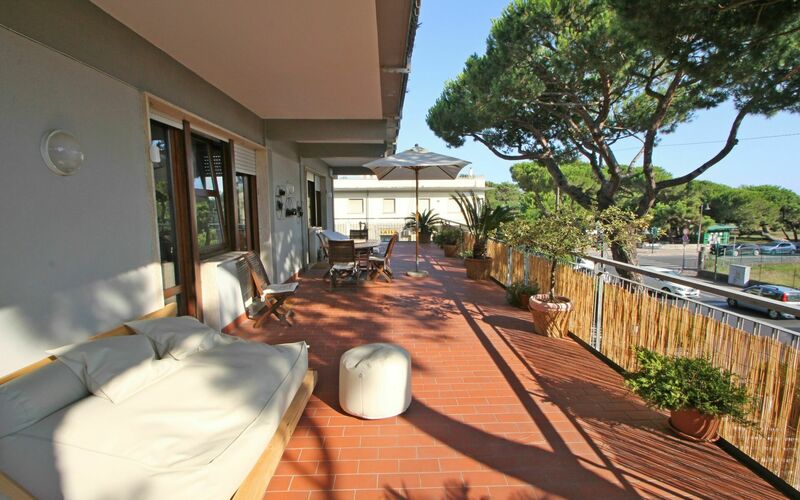 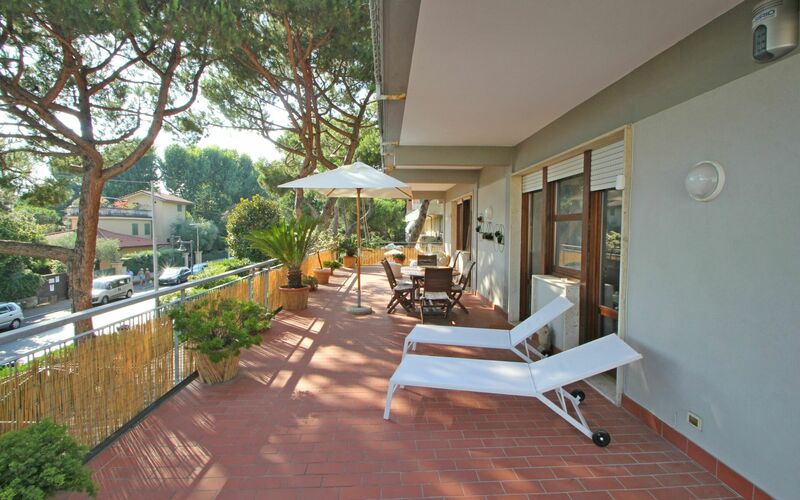 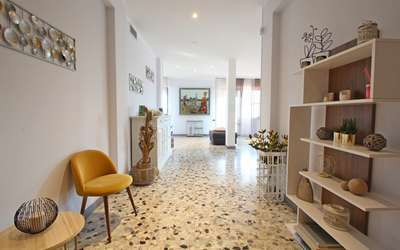 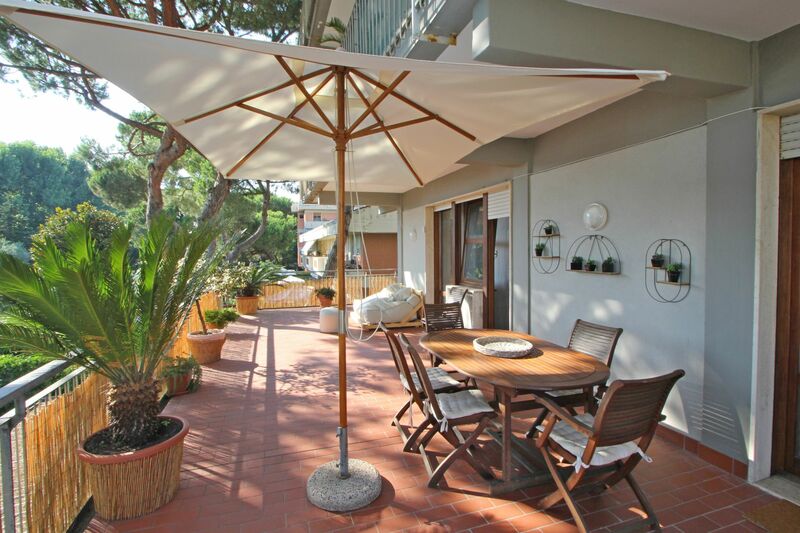 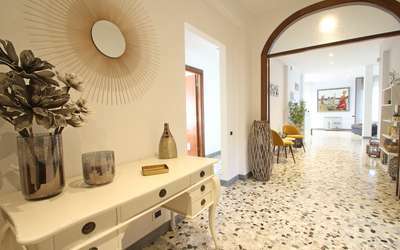 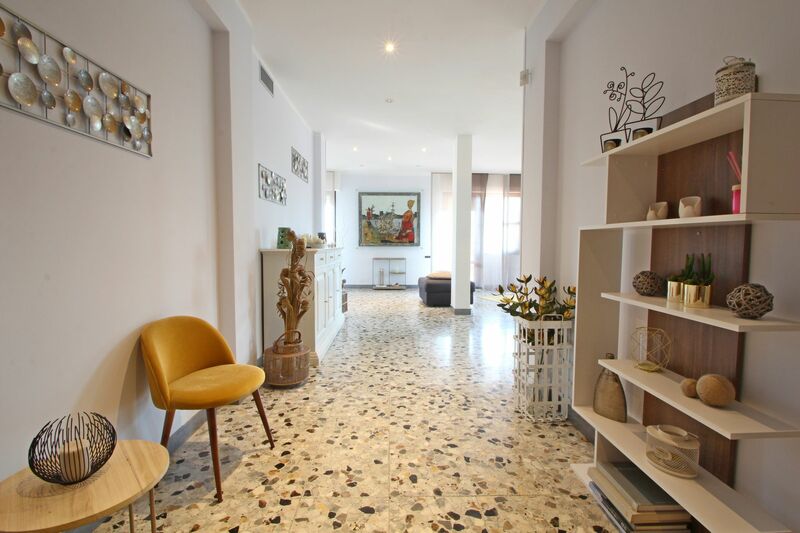 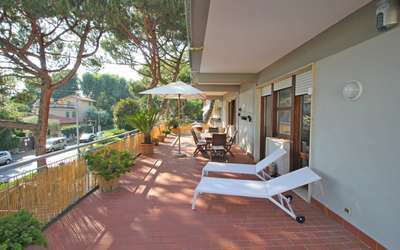 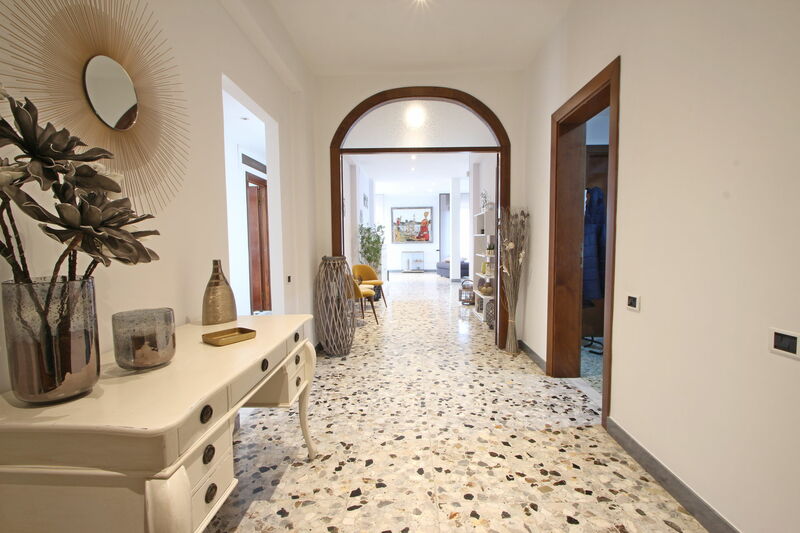 Appartamento dei Ronchi is located a few steps from the sea in the beautiful town called Ronchi, in Marina di Massa (Tuscany). It has just been renovated and features first class furnishings that enhance your stay here. 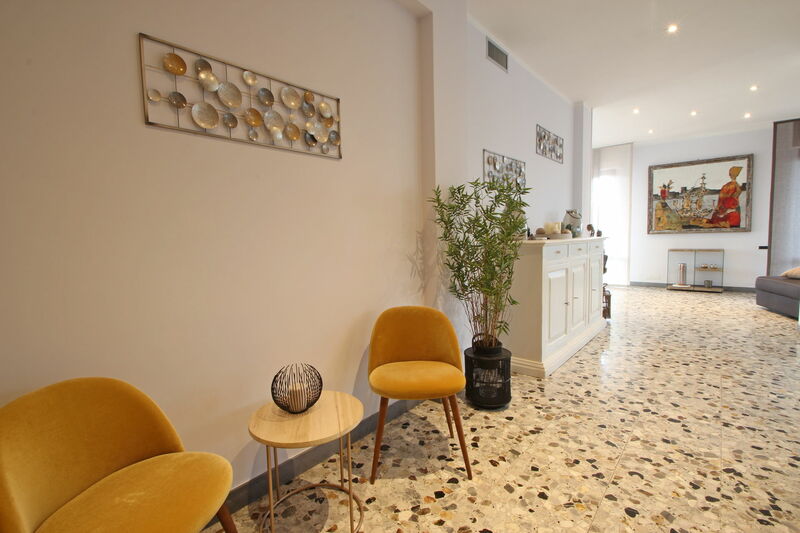 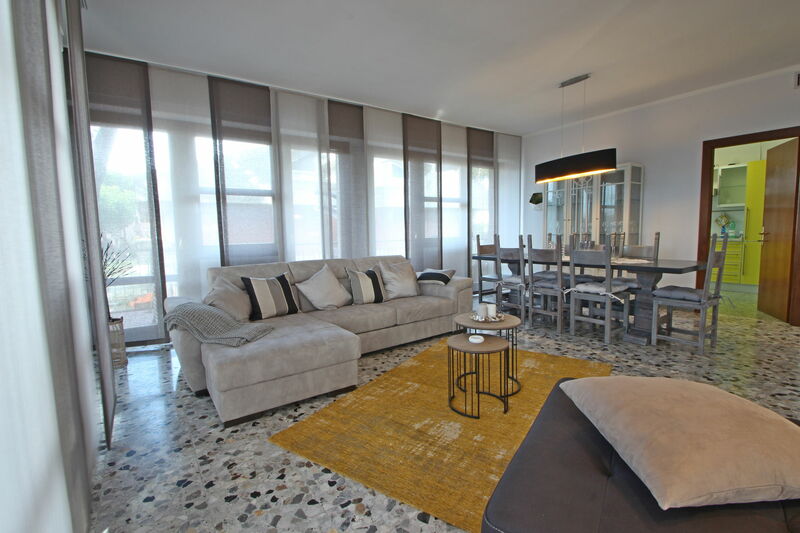 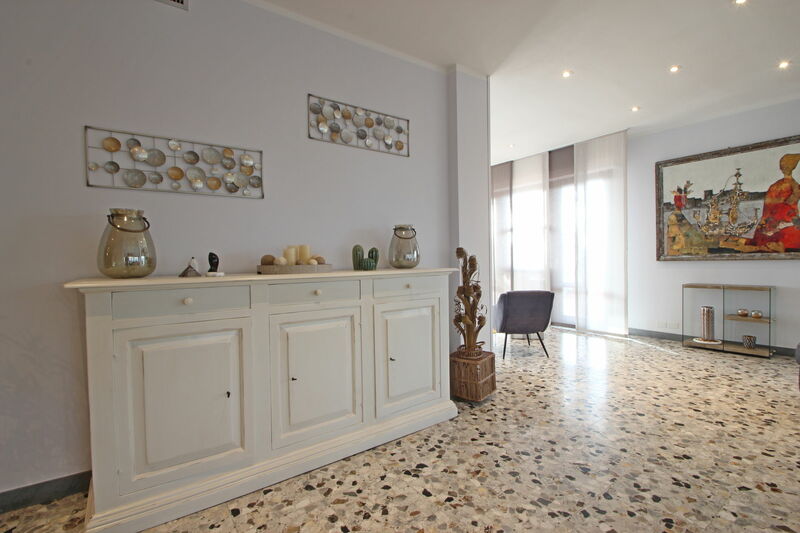 At about 120 meters you will find the sea of ​​Versilia with its beaches and directly under the building you will find various shops including: two bars, grocery, tobacconist, butcher and bike rental, all reachable by descending the stairs. 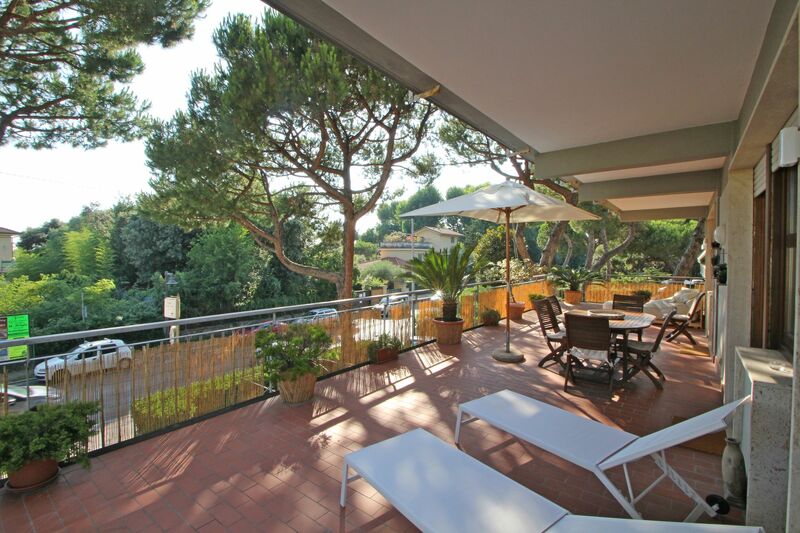 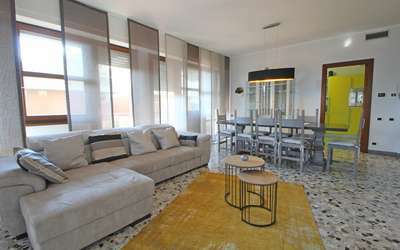 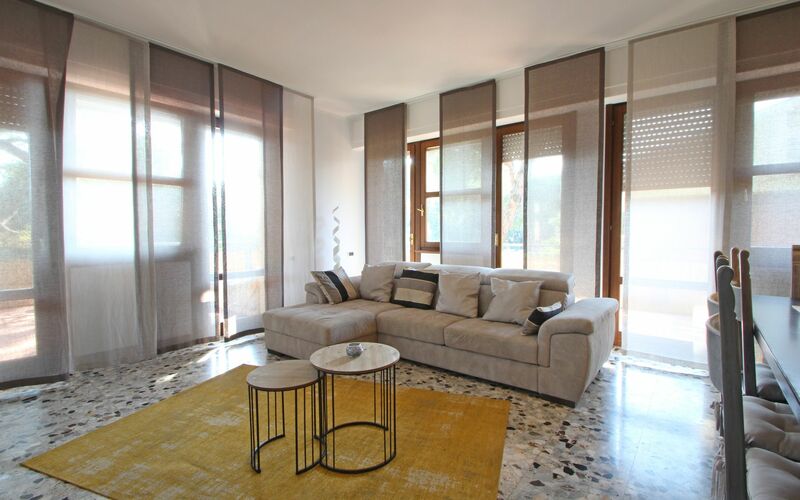 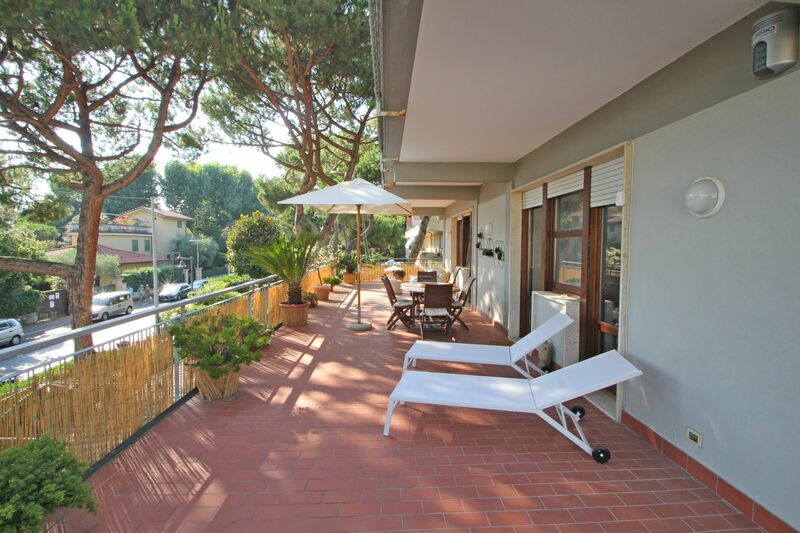 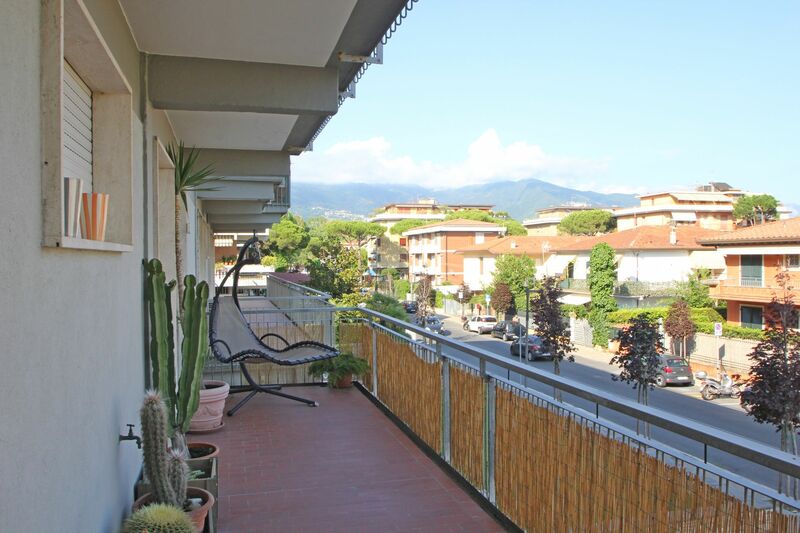 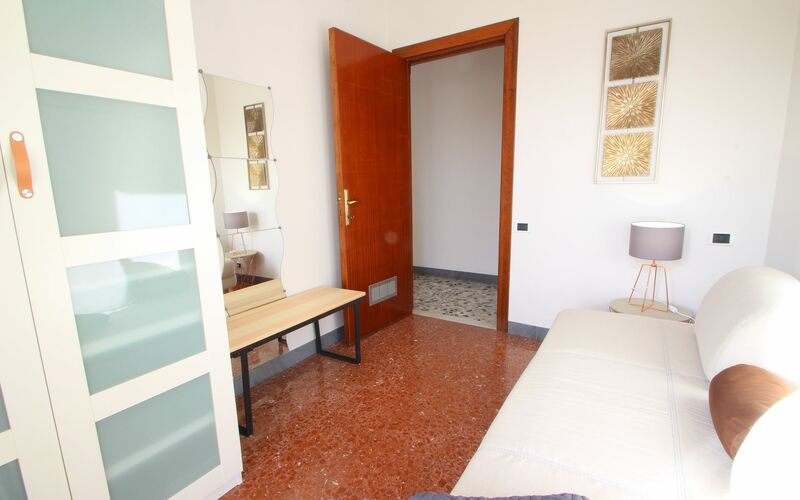 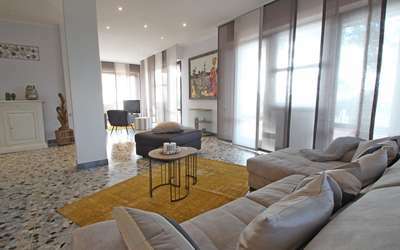 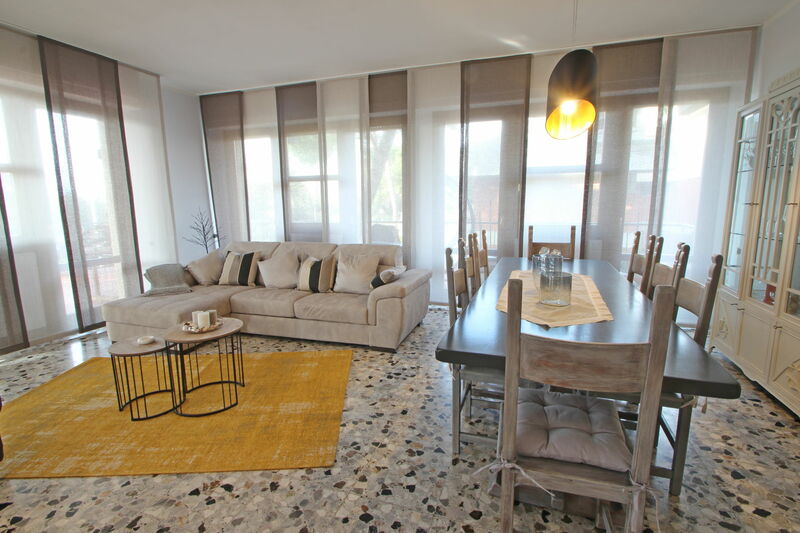 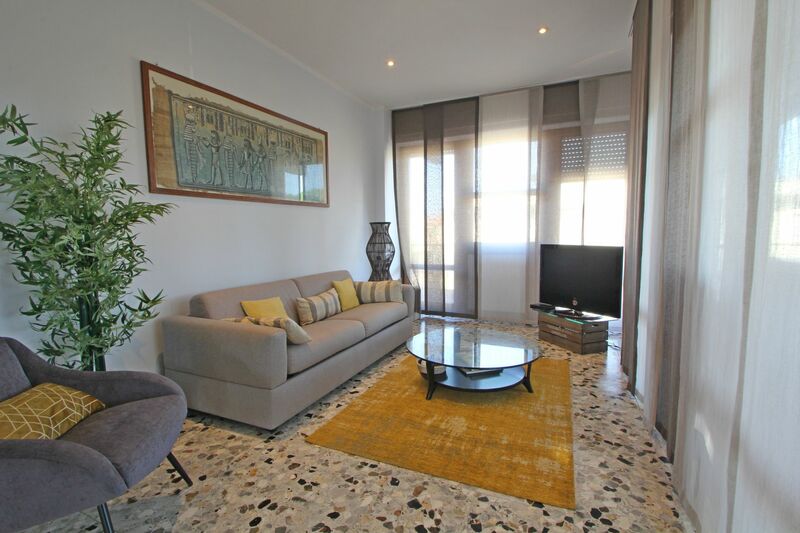 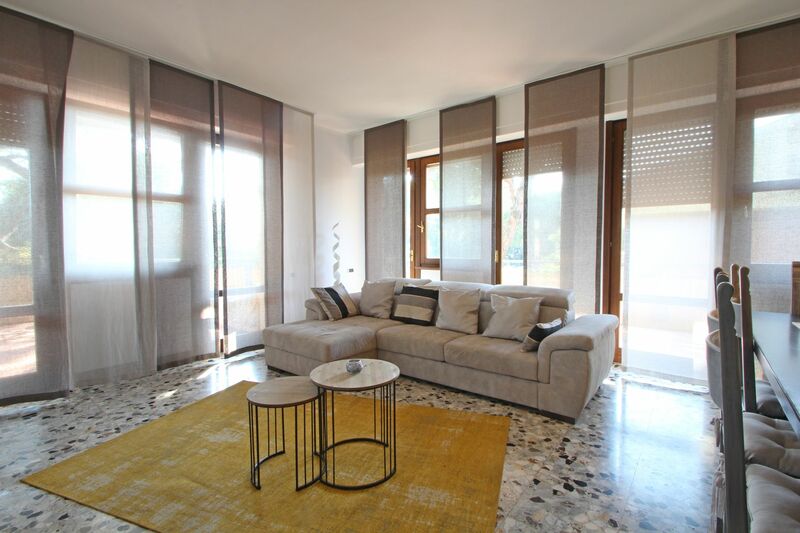 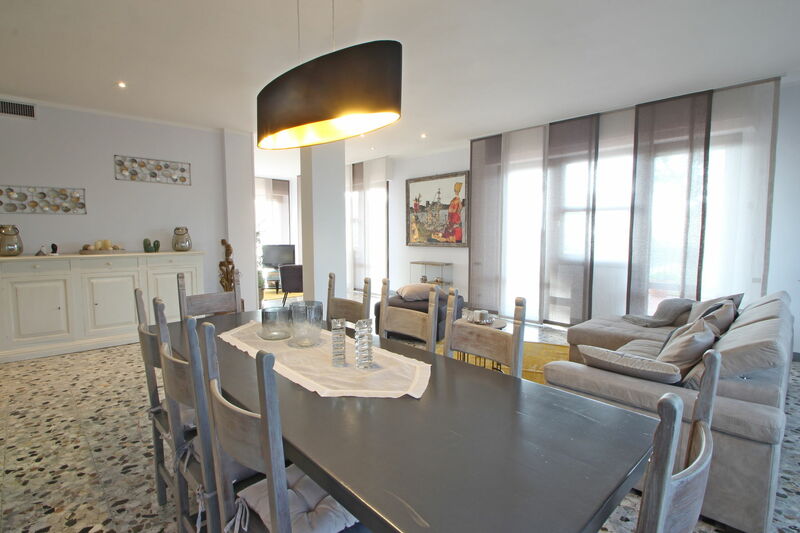 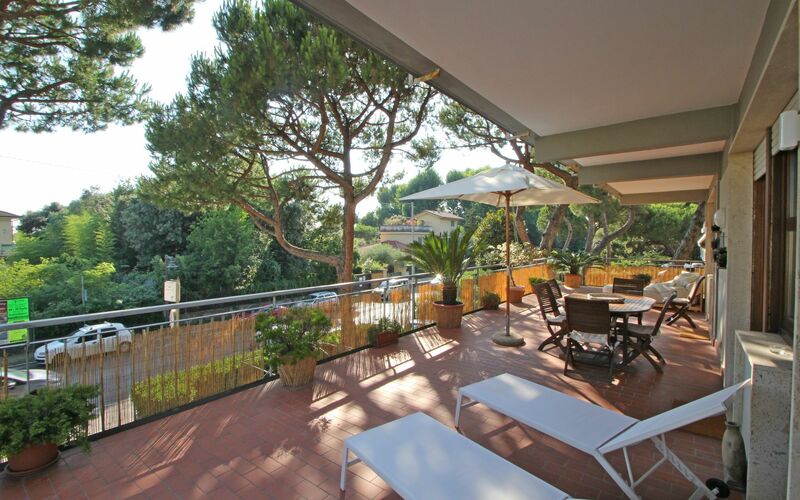 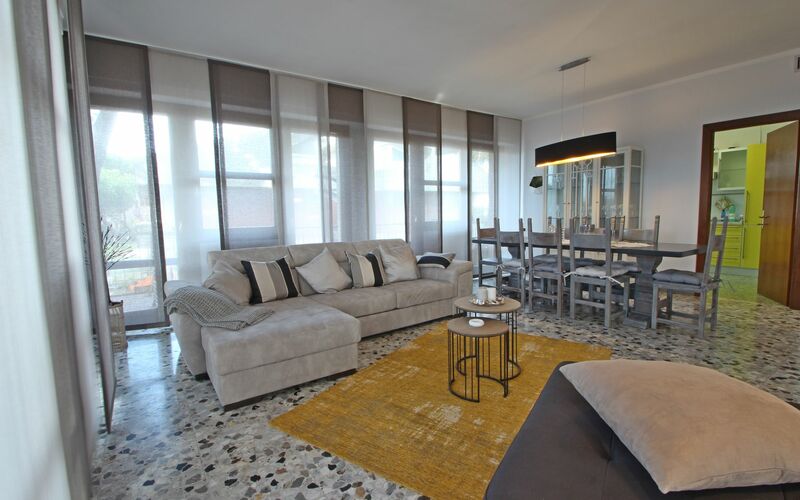 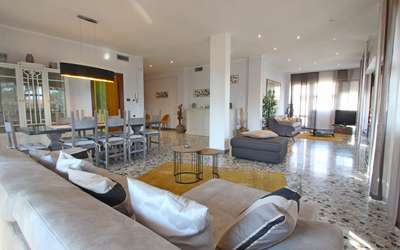 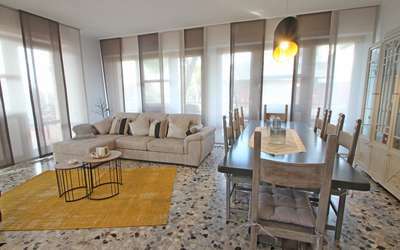 The Holiday Apartment dei Ronchi is located on the first floor of a building on the street parallel to the seafront and its large private terrace that, in addition to sunbathing and eating outdoors, also allows you to enjoy the panorama of the mountains and a small glimpse of sea. 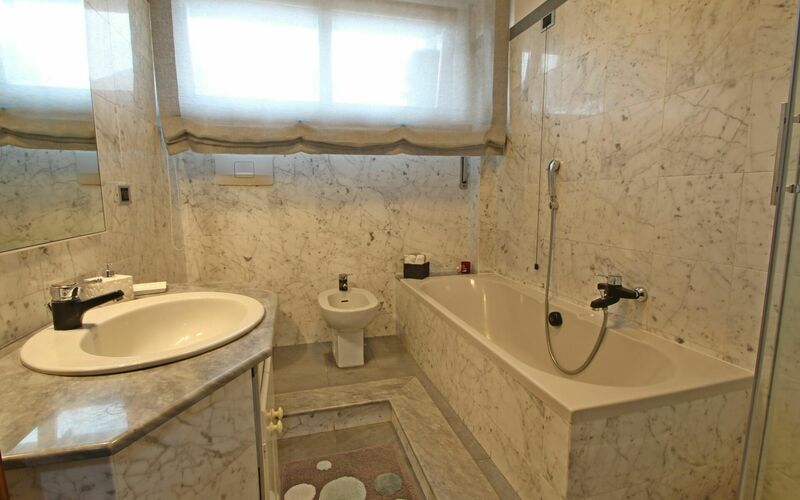 There is 1 private parking space available. 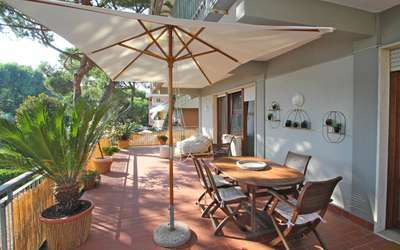 During the summer, Ronchi is characterized by a night life with exhibitions, markets and shows. 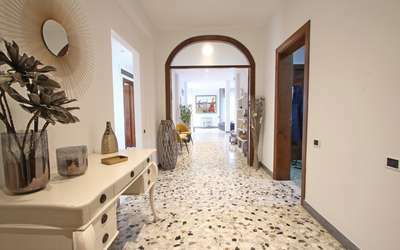 Large central corridor connecting all the rooms. 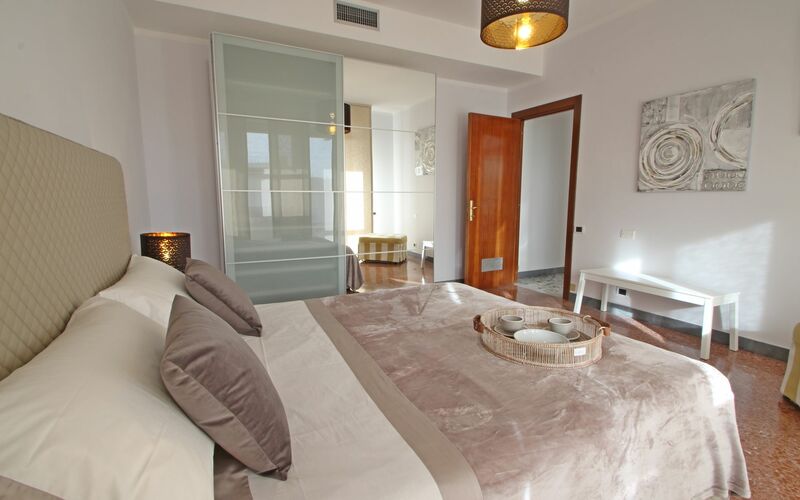 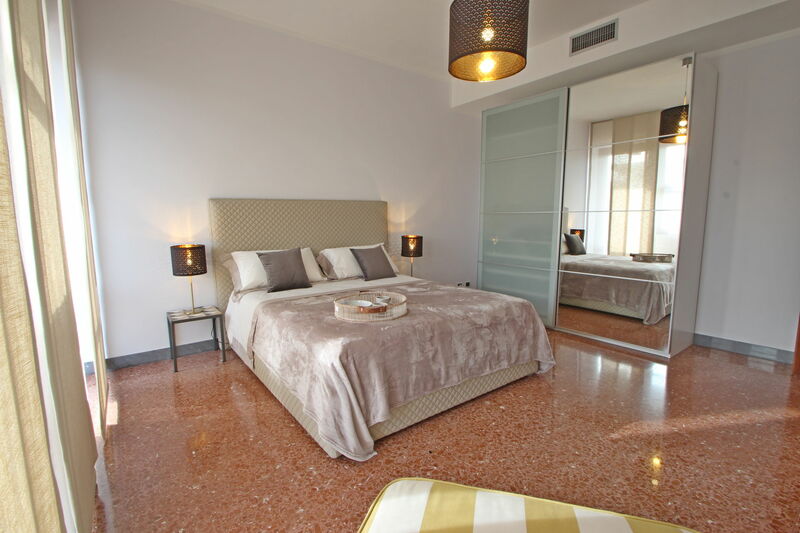 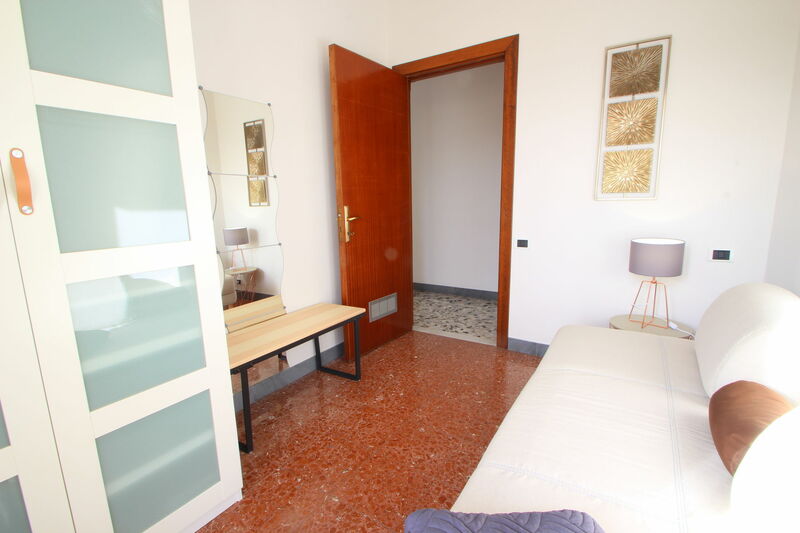 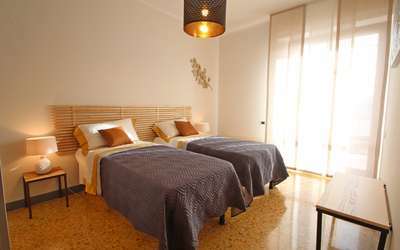 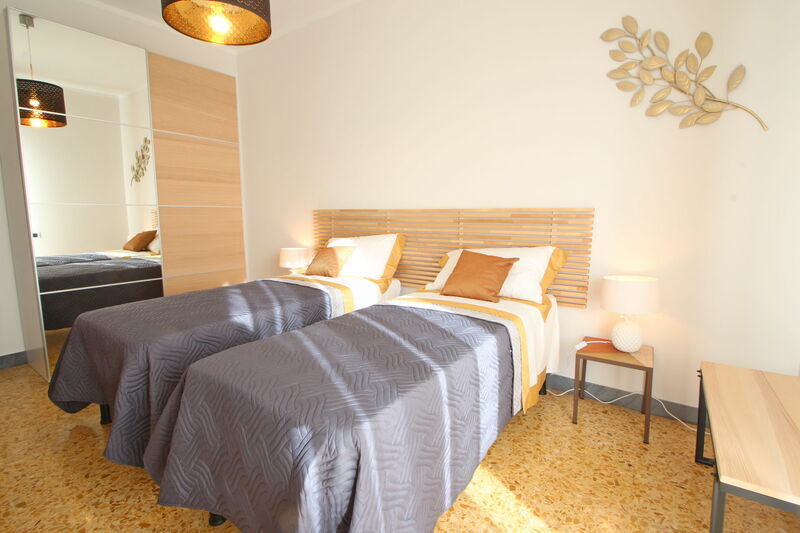 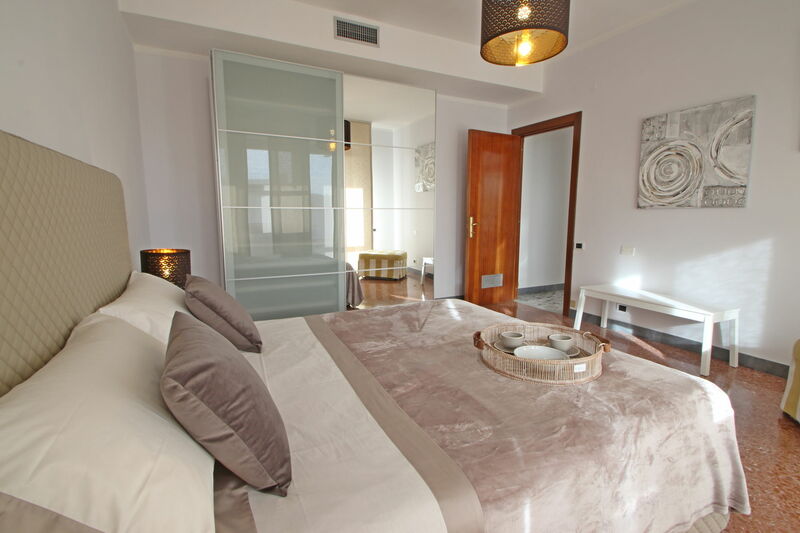 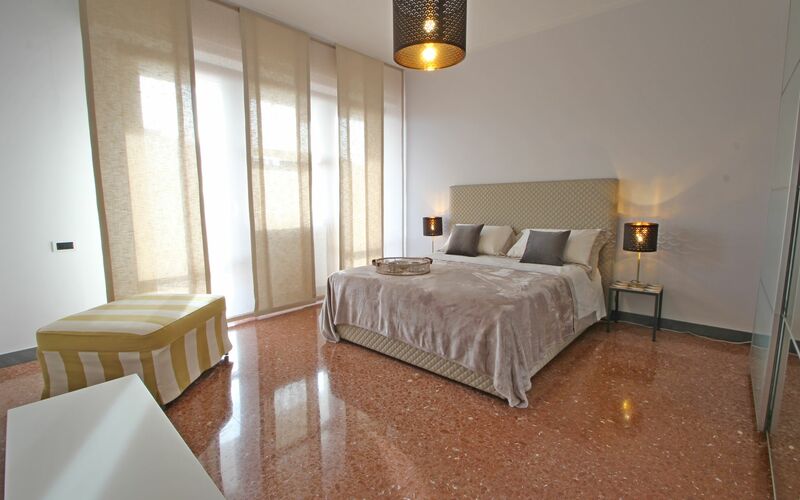 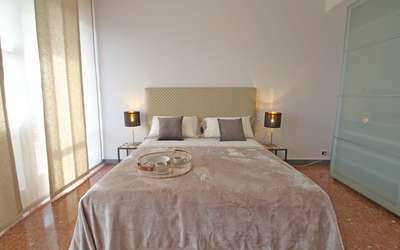 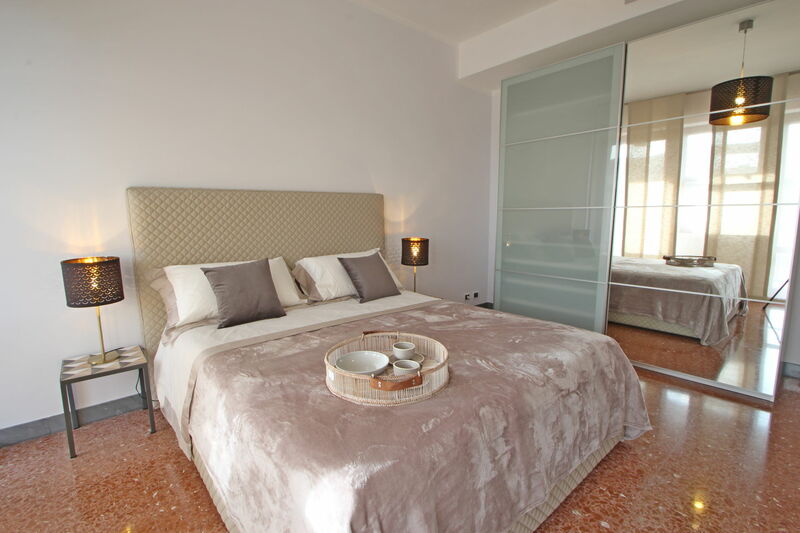 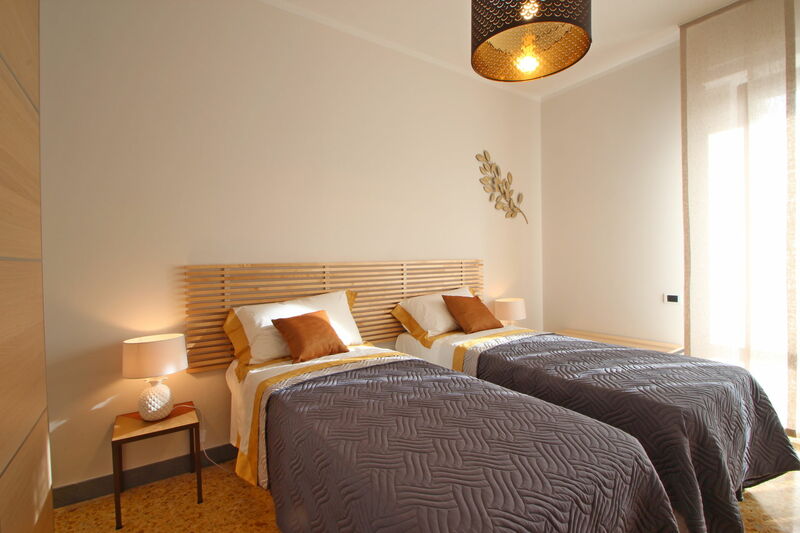 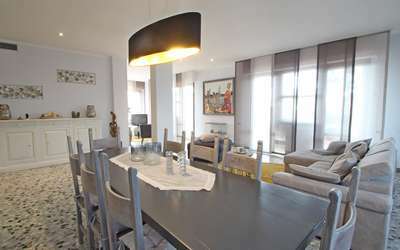 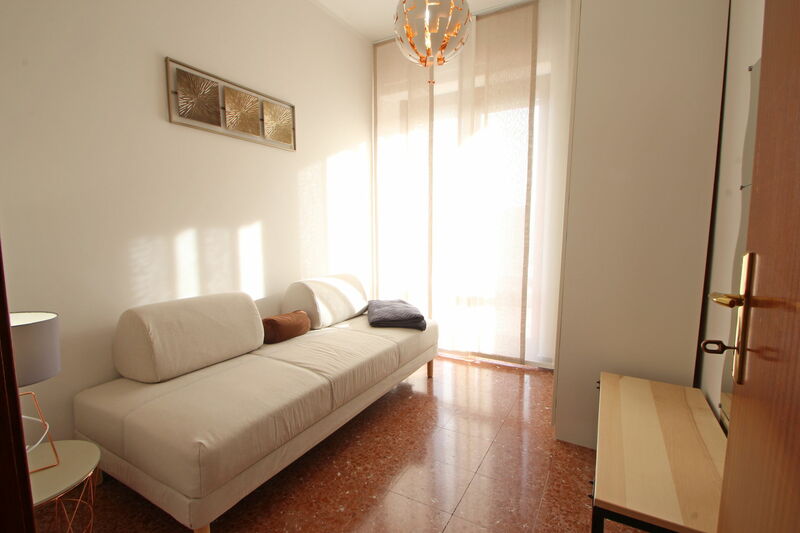 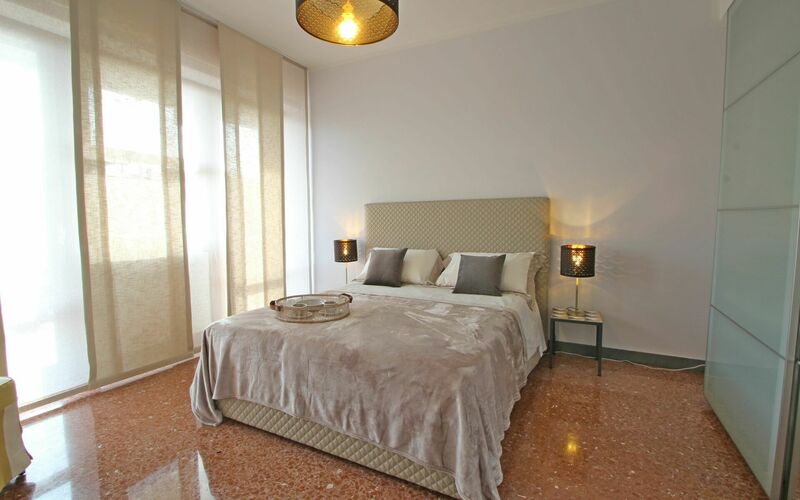 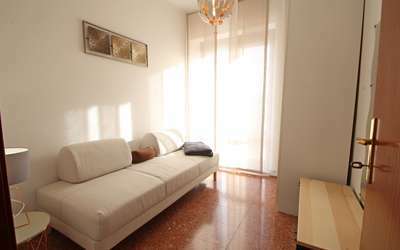 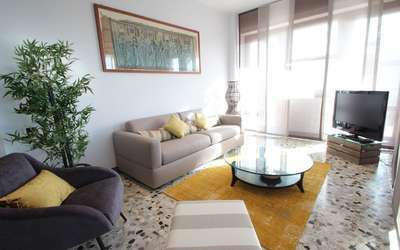 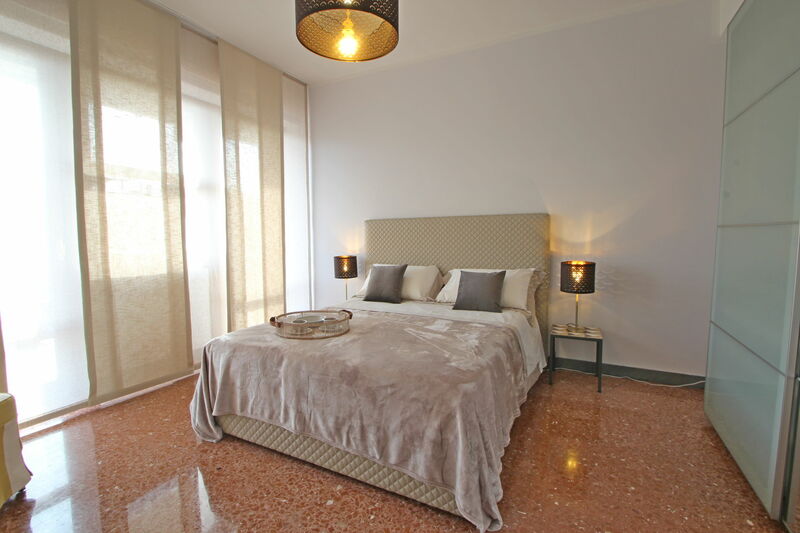 - Room with two single beds, wardrobe and door to the terrace. - Single room with door to the terrace. 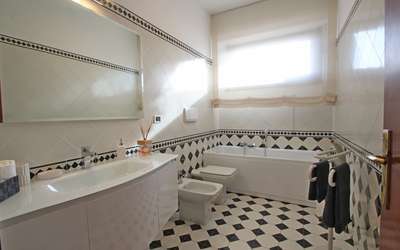 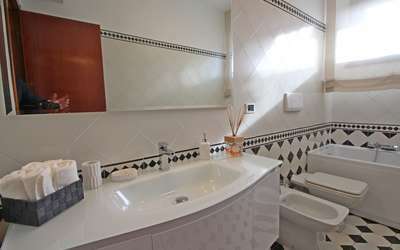 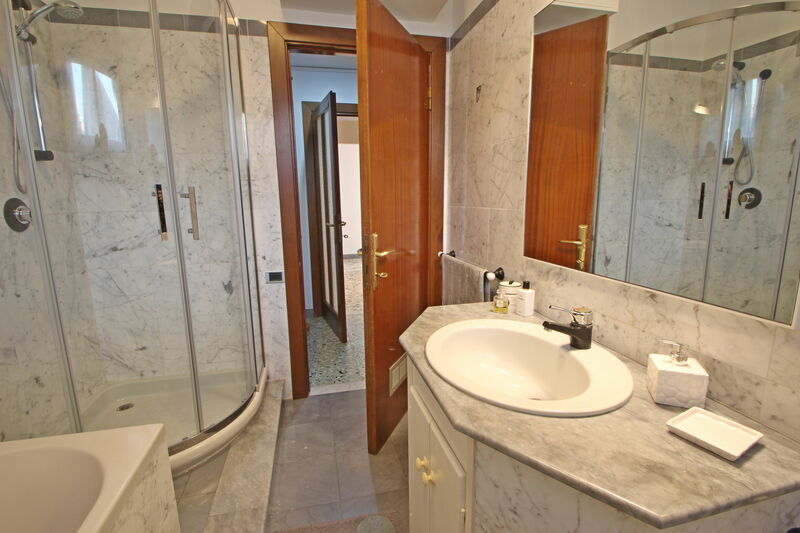 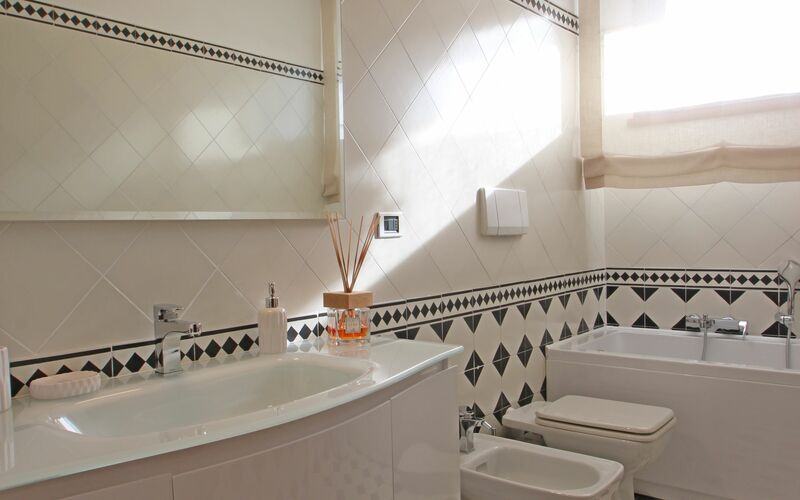 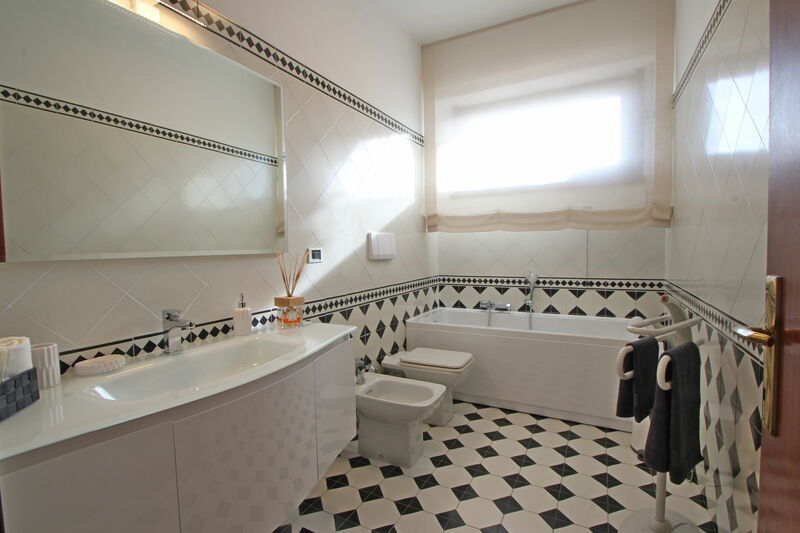 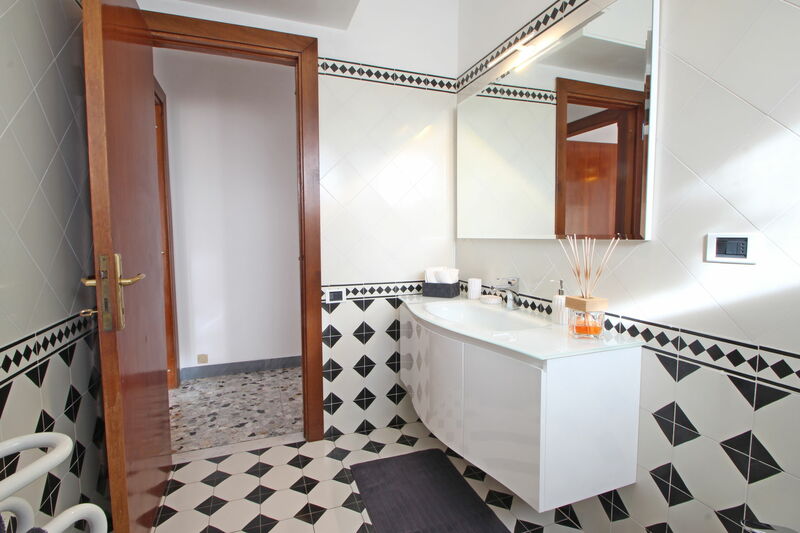 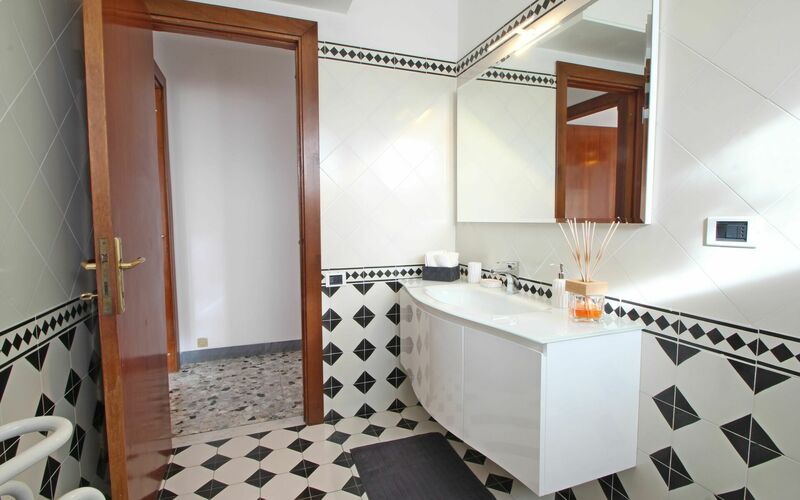 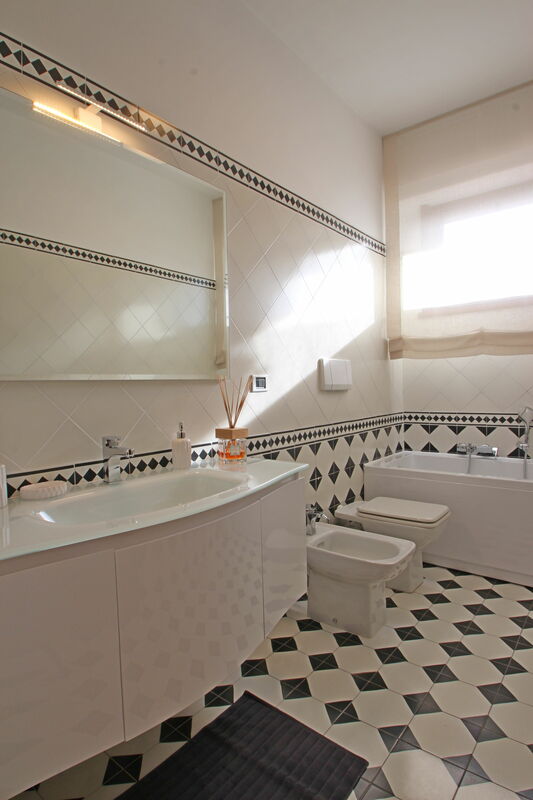 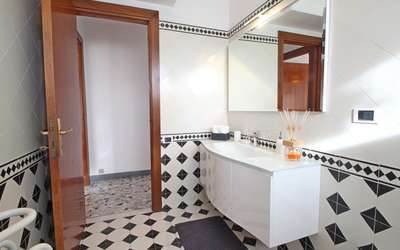 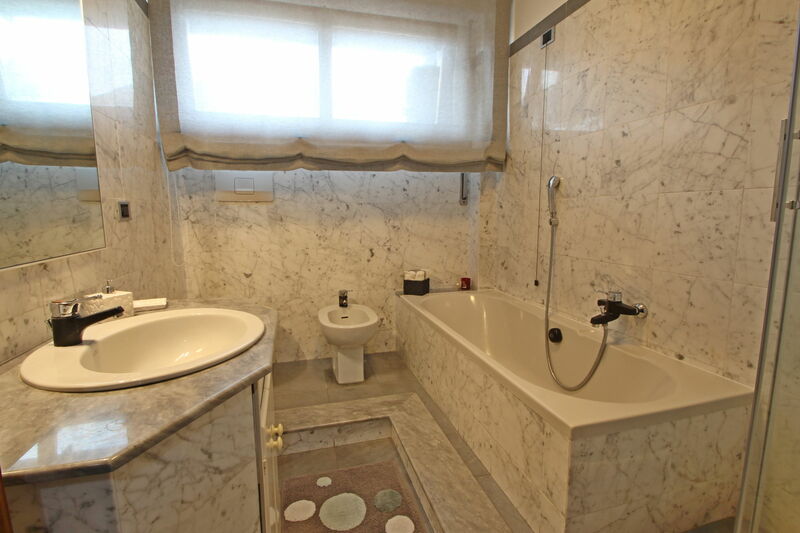 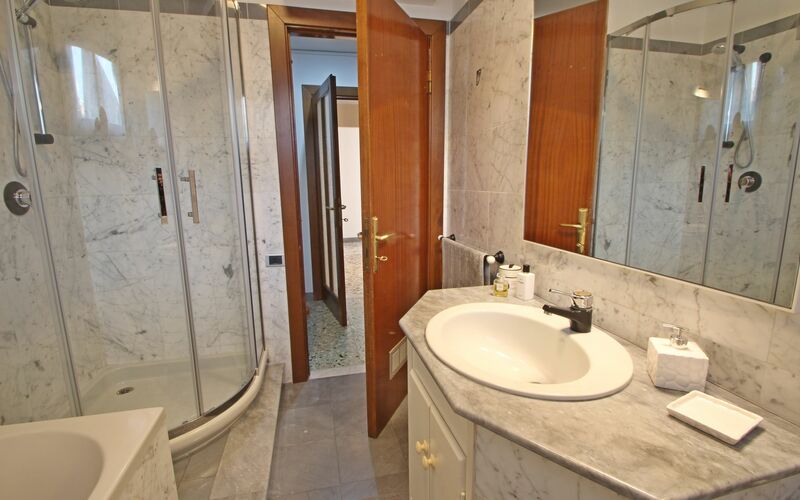 - Large bathroom with bathtub, toilet, bidet and sink. 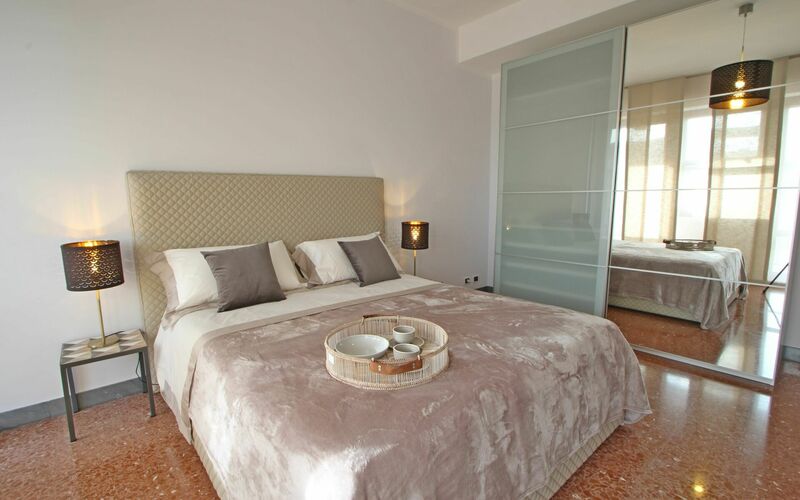 - Double bedroom with wardrobe and door to the terrace. 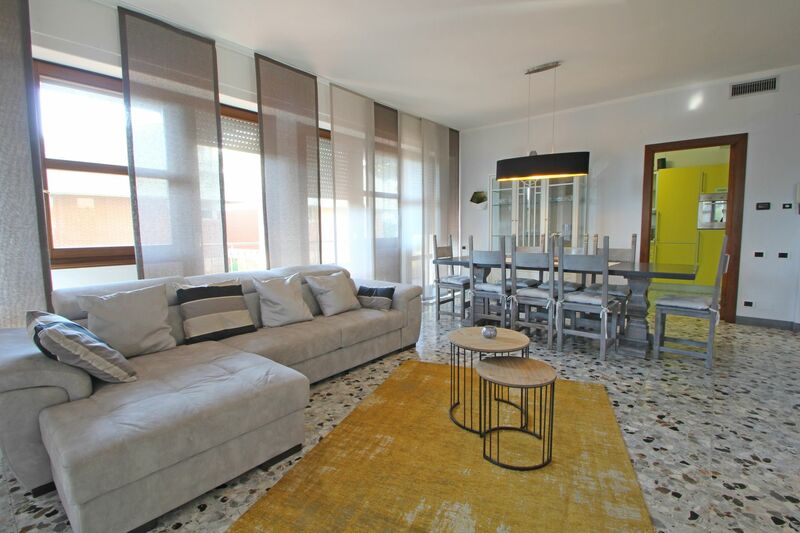 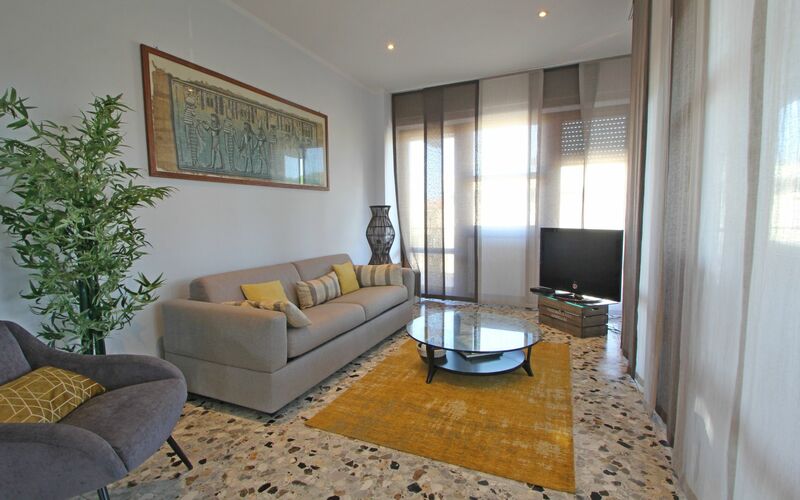 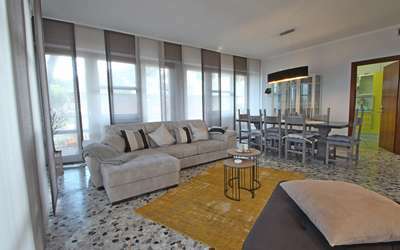 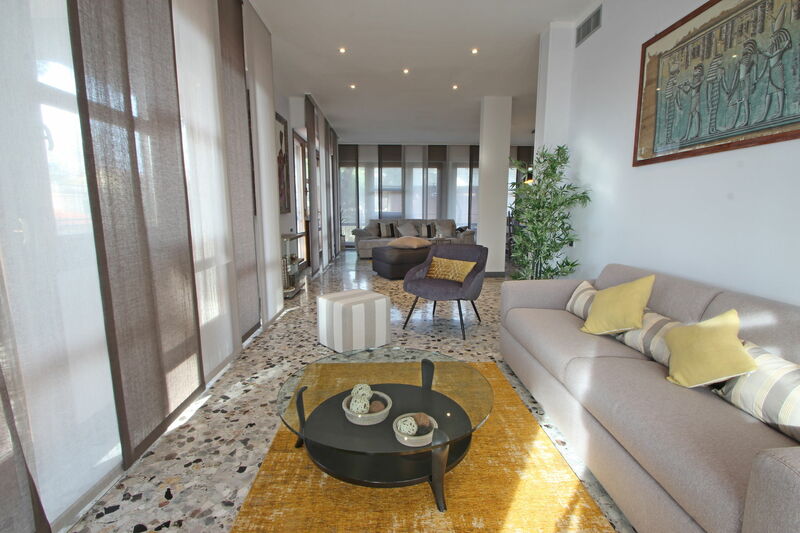 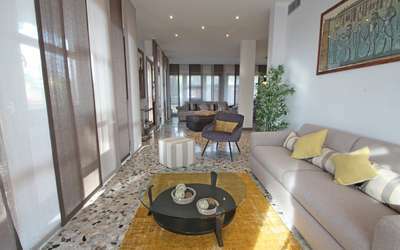 - Very large open space consisting of a TV area with a sofa bed for two people, TV SAT; living room with additional sofa bed; area with dining table for 8 people. 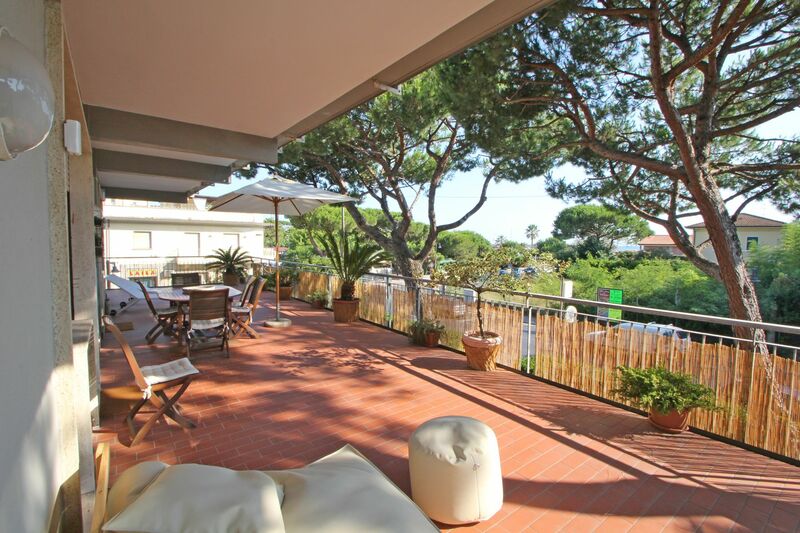 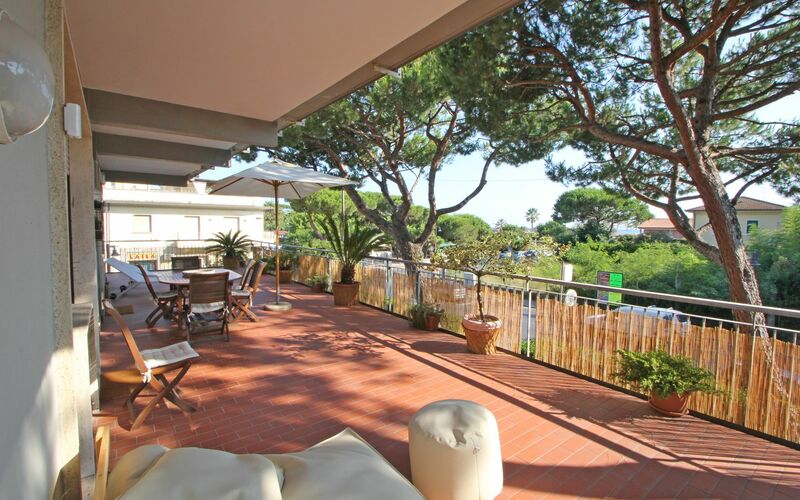 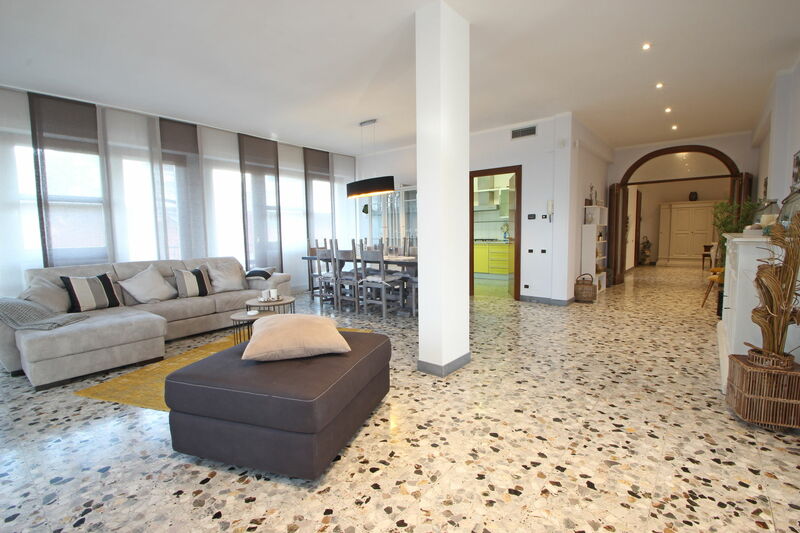 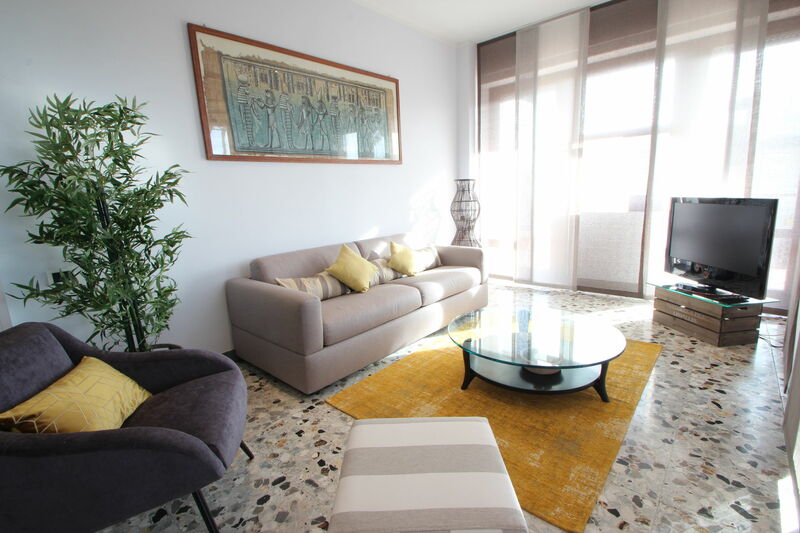 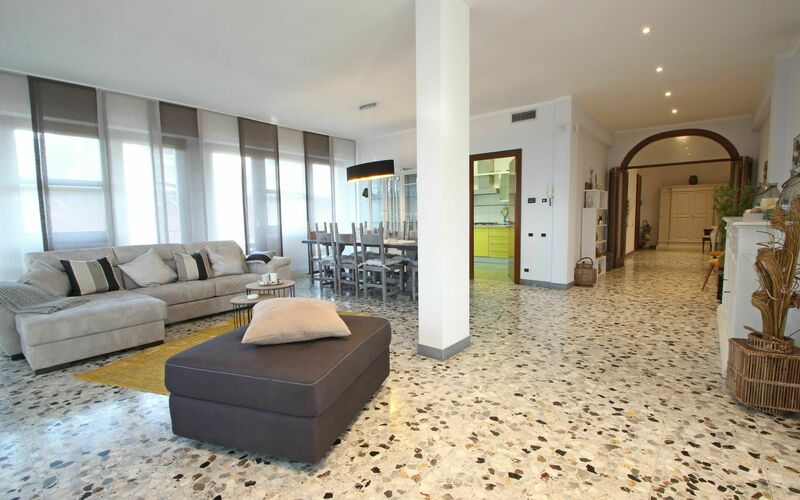 All surrounded by many windows and access to the terrace that make the whole apartment very bright. 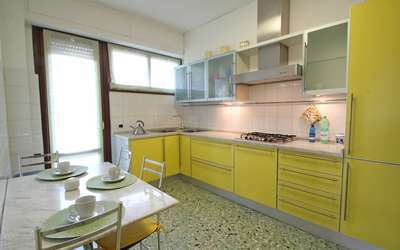 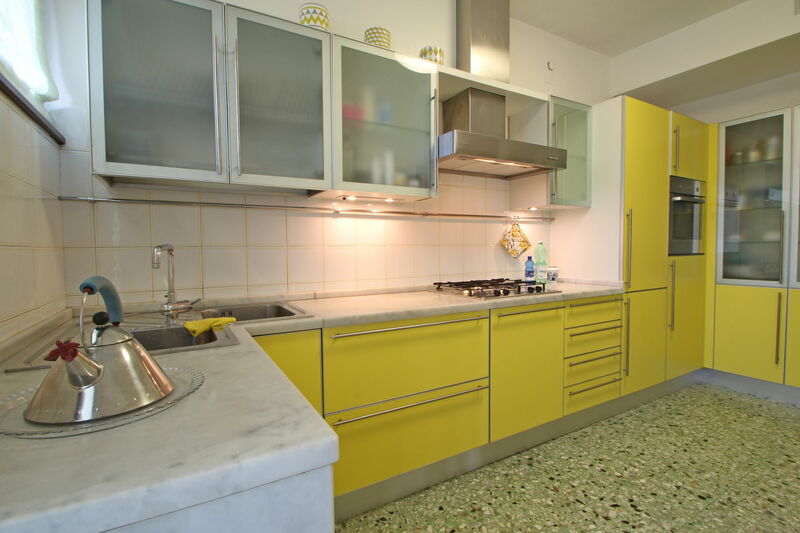 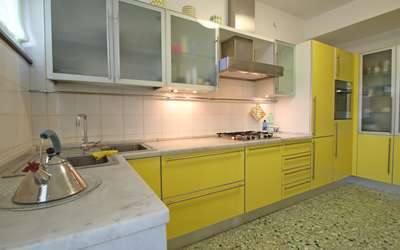 - Kitchen with coffee table for 4 persons, 4 cooking rings, oven, dishwasher, coffee machine. 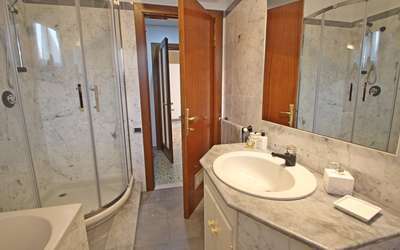 - Bathroom with bath, shower, sink and bidet. - Storage room with washing machine. The whole apartment is surrounded on 3 sides by a huge terrace of about 130sqm with a dining table for 8 people, umbrella and deck chairs. 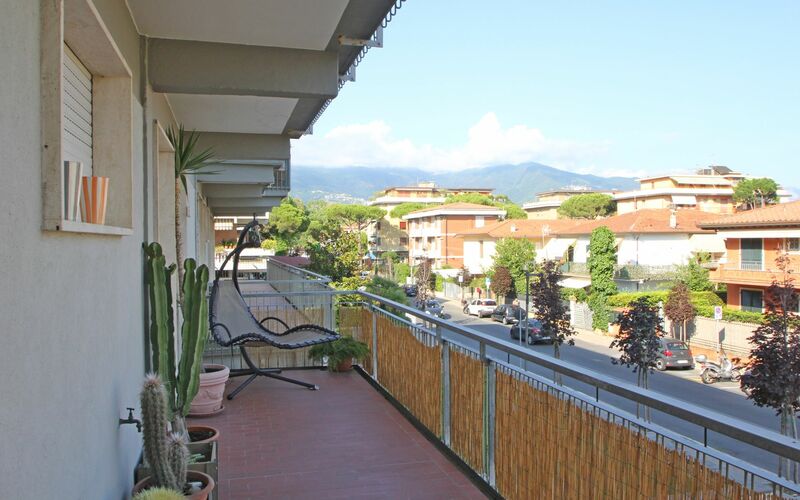 From here you can see both the sea (little) and the mountains.